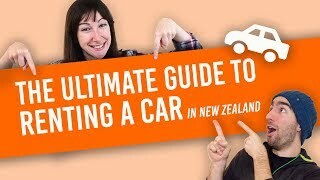 Auckland Campervan Rental Companies to consider for your next road trip! Starting from Auckland is the most popular way to see New Zealand on a campervan road trip! Auckland has the most amount of campervan rental companies combined with some of the cheapest flights coming into the country. It’s a no-brainer! However, with such a wide array of choice, choosing campervan rental company in Auckland can be a little overwhelming. With that in mind, we’ve put together a list of some of our top picks for the best campervan rental companies in Auckland! The comparison below shows some of the market leaders, as well as Auckland campervan rental companies that you might not have heard of, just so you are more aware of what’s out there. We compare the inclusions, such as insurance, amenities and pick-up/drop-off locations as these will be hugely important factors in choosing an Auckland campervan rental company. Prices are not compared, however, as rates fluctuate with the seasons. For more options, check out the Auckland campervan rentals on Rentalcars.com. Location: In Auckland, it’s either going to be near the Auckland Airport or in the city. Figure out how you are going to get to these locations. Are they convenient for you? Are there any extra fees you will need to pay for the “premium” location (likely if you are picking up at an airport depot)? Also, consider where you are ending your trip and whether the drop-off locations are convenient for you. Vehicles offered: Most campervan rental companies in Auckland will maintain even their oldest cars to the highest standards, however, a more modern vehicle is less likely to give you any problems, so keep vehicle age in mind. Of course, the size of the campervan will be incredibly important for the level of comfort you want to have. What’s more, decide whether a self-contained campervan is important to you or not. In order to freedom camp in New Zealand, you need a vehicle that is certified self-contained. For more information on the different types of campervans in New Zealand, head on over to this page. Wendekreisen Travel has almost every type of campervan covered, from cars with roof tents to fully self-contained motorhomes. What’s more, they have budget travellers in mind with no one-way fees and no diesel tax charges. They are definitely one of the best value-for-money motorhome rental companies in Auckland. Courtesy transfers to and from the airport and the rental depots are available. Auckland Pick-up Location: Auckland Airport. Drop-Off Locations: Auckland and Christchurch. Standard insurance is included with NZ$1500 excess and NZ$1500 bond to pay for drivers over 25 years old or NZ$2000 excess and NZ$2000 bond to pay for drivers aged 21 to 24 years old. There is the option to upgrade for less excess at NZ$20 per day. Kitted up for freedom camping, Mad Campers is a great option for budget travellers in a comfortably small van for driving on New Zealand roads. 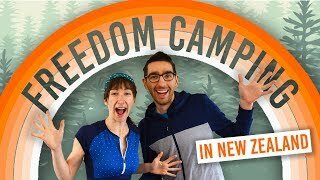 All of their vans are certified self-contained meaning you can legally freedom camp. Auckland Pick-up Location: Onehunga (suburb between the Auckland Airport and Auckland Central). Sunrise Holidays shows travellers that staying in a campervan doesn’t mean you need to “rough it”. Stay in one of their three types of modern luxury motorhomes that are no more than two years old. They also offer a personal service when it comes to booking, so quotes are on a case-by-case basis. 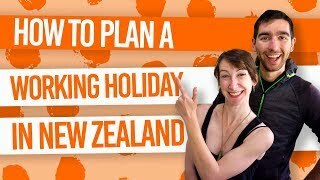 Get in touch with Sunrise Holidays and see what New Zealand adventure they can plan for you! Drop-Off Locations: Auckland and Christchurch Airport. A range of certified self-contained motorhomes from Tribute 669 (sleeping 2-3 people), T-Line 590 (sleeping 4 people), and Tribute 720 (sleeping 2-6 people). Vehicle age range: 0 to 2 years old. Insurance is included in the rental with an NZ$5000 bond to pay and NZ$5000 excess. There are options to reduce the excess to pay for NZ$29-$49 per day. Chilli Rentals keeps it exclusively Auckland with their rental depot based in the Manukau suburb, 10-minutes drive from Auckland Airport. They have a wide range of small campercars to comfortable motorhomes that won’t feel too big to handle. They’re a great choice if it’s your first time driving a motorhome or campervan. Note that there is an NZ$150 booking fee. Auckland Pick-up Location: Auckland Airport (Manukau). Cars with roof tents sleeping up to 3 people, campercars (Toyota Previa or Estima) sleeping up to 2 people, self-contained campervans (Nissan Caravan) sleeping up to 3 people, and self-contained motorhome (Ford Transit) sleeping up to 3 people. Insurance is included in the rental with an NZ$3000 bond to pay and NZ$3000 excess. There are options to reduce the excess and bond to pay for NZ$20-$25 per day. Ride in some of the brightest campervans in New Zealand with Jucy Rentals! This car, campervan and rental company has branches all over New Zealand, including Auckland city and Auckland Airport. Choose from small and easy-to-drive campercars to medium-sized self-contained campervans to large and sleek motorhomes. Younger drivers can also benefit by the minimum driver age being 18 years old at no extra charge. Auckland Pick-up Location: Auckland City (Parnell) and Auckland Airport. Drop-Off Locations: Auckland, Wellington Airport, Christchurch Airport, Dunedin Airport and Queenstown Airport. If looking for a dedicated RV rental company in New Zealand with a generous offering of inclusions then take a look at Kiwi Motorhomes. Note that there is a minimum hire time of 7 days. Hippie Campers certainly plays the part with their hippy-style vans that are small enough to be easy to drive. The campervans have all the basic essentials, however, they are not self-contained so you will need to stay in campsites and holiday parks, rather than freedom camp. Insurance is included in the rental with an NZ$5000 bond to pay and NZ$3000 excess. There are options to reduce the excess and bond to pay for NZ$27-$44 per day. Cruzen Campers ticks all the boxes when it comes to easy cruising with modern comforts. The compact custom-designed Nissan NV200 vans include a few nifty extras, such as USB charge ports, GPS mapping system, WiFi and Bluetooth/USB stereo system to make road-tripping from Auckland all the easier! Nissan NV200 sleeping up to 2 people and certified self-contained. Vehicle age range: 6 to 9 years old. Free standard insurance with NZ$3000 excess and NZ$3000 bond to pay. Other insurance options are available at an added NZ$20-$25 per day for less excess and bond to pay. Looking for something a little more premium for your once-in-a-lifetime trip? Heron Campers is the premium range of Euro Campers providing luxury motorhomes. Their packages are all-inclusive meaning things like diesel tax charges and one-way fees are all included in the price. Note that you need to be over 21 to drive the Heron Campervans. Find out more about rental age restrictions in Age Restrictions When Renting a Vehicle in New Zealand. Auckland Pick-up Location: Otahuhu (suburb between Auckland Airport and Auckland Central). A range of fully certified self-contained vans and motorhomes sleeping up to 5 people. Vehicle age range: 1 to 12 years old. Standard insurance is included with NZ$250 excess of over 21-year-old drivers or NZ$2500 for 18-21-year-old drivers. If you want to hire a small campervan that’s got more to offer than a standard budget campervan then consider Travellers Autobarn. The campervan rental company based in Auckland and Christchurch has small campervans suitable for up to two adults and three children, which is ideal for those travelling as a family but don’t want to the expense that comes with a large motorhome. 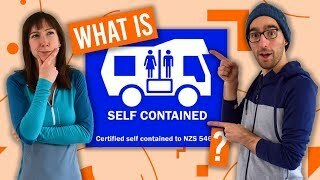 As a side note, to make the campervan “certified self-contained” in order to freedom camp, rather than paying for campsites, then it is an extra NZ$50 to hire a portable toilet. Campercar/station wagon Toyota Estima sleeping 2 people, and high top Toyota HiAce vans sleeping up to 4 adults/2 adults and 3 children. With a constantly updated fleet of motorhomes and smaller campervans, Britz is the motorhome rental company to go for if you are looking for reliable vehicles. A wide range from high top Toyota HiAces to a fleet of motorhomes all certified self-contained. Vehicle age range: 0 to 3 years old. Standard insurance is included with NZ$5000 excess for campervans and NZ$5000 bond to pay or NZ$7500 excess for motorhomes and $7500 bond to pay. Drivers under 25 years old will have an NZ$3500 excess. Windscreen excess of NZ$250 is also included. There are options to pay NZ$10-$30 per day to reduce excess amounts.